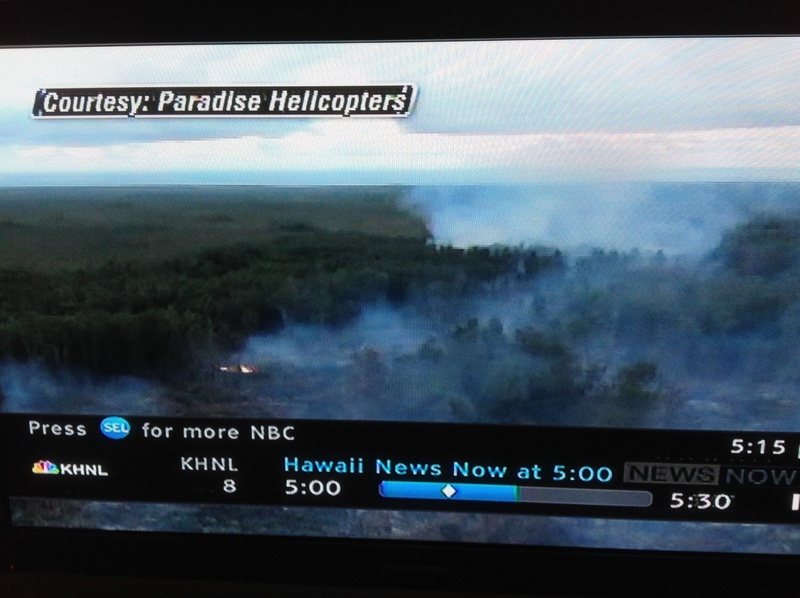 This entry was posted in Life in Hawaii and tagged asthma on Maui, Big Island, cbsnews.com, Hawaii News Now, health issues on Maui, Kilauea, lava flow on the Big Island, move to Maui, move to the Big Island, Pahoa, VOG on Maui by jamaicawtr. Bookmark the permalink. It is not on top news here on the mainland, but I do see it in the smaller headlines on CNN – of course any Hawaii news, is something I am interested in! 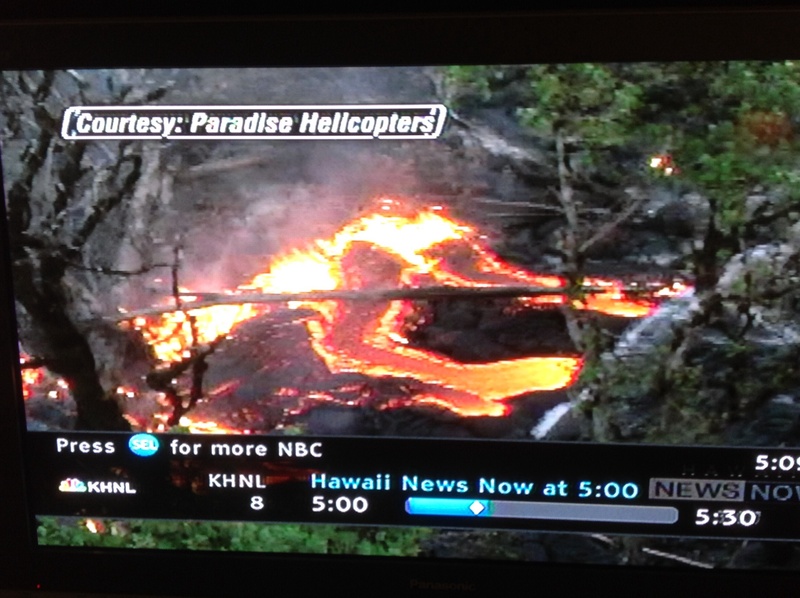 We don’t see these lava reports on national news unless it eats a town, or homes, or someone is injured or killed. I have a question about the VOG that reaches Maui — does it make a difference what elevation you live? If you live in Olinda or somewhere 3,00-4,000 foot up, is it better or worse? I honestly don’t think it makes a difference where you live in regard to the VOG. It is a vapor and it is everywhere… I think we fool ourselves into believing it’s not at higher elevations just because we can’t see it, as we can see it hanging over the valley. The best barometer I have is when Mike is at work on The Scotch Mist and out on the water, and he cannot visually see the Big Island from Maui. That’s how we know we have VOG everywhere. Thank you for writing, and Aloha! Heard about it very briefly once, but now only on yours and other Hawaii-related news I get on Facebook. Are there people who are or who will definitely be displaced by this? Or is it in an area where they specifically don’t build? Nice to hear from you! Yes, there are people who would definitely be displaced by this. On the news, disaster relief organizations are asking private organization such as churches to open their doors to people who will have to be evacuated. They think it will happen now within two weeks. Once the lava is flowing, it’s not a question of if, but when. Thank you for replying. So glad to hear you enjoy the blog! I live in the Bay Area & just got back from Maui & was researching moving there & found your blog. I have just finished reading every single post in less than 2 days. It is fascinating! I’ve only been back a few days but already long for that honu-paced lifestyle.Thank you for keeping Hawaii fresh in the minds of us mainlanders! I thought I replied to your email, but it just popped up again. So either way, I am so happy to hear that you enjoyed the blog so much that you read every single post in two days! I think that might be a record! People do say it’s like potato chips and they can’t stop reading…. It’s lovely to hear from you, it’s readers like you who keep me writing. Mahalo!